General science or Science in general is a systematic enterprise, which builds and organizes information and knowledge in the form of verifiable explanations and predictions about the world in general. This body of knowledge is well researched and documented with sufficient evidence. Though, science is usually categorized into: physical, chemical, medical, and life sciences, all these broad areas of science are directly or indirectly linked to natural sciences, as all of them discuss the various natural phenomena of this planet and the universe as a whole. While physical sciences encompass a vast variety of disciplines including physics, chemistry, astronomy, and related subjects, life sciences talks at length about microorganisms (prokaryotic and eukaryotic), plants, animals, and marine life on the earth. Industrialization and associated advancements in the science and technology, have resulted in immense growth in all fields of science including, medicine, engineering, and communication. The Journal scope encompasses the knowledge in Atmosphere, Atmospheric Chemistry, Atmospheric inversions, Biosphere, Chemical Oceanography, Crystallography, Disaster Science, Earth Science, Ecology, Gemology, Geochemistry, Geochronology, Geomicrobiology, Geomorphology, Geosciences, Geostatistics, Glaciology, Mineralogy. 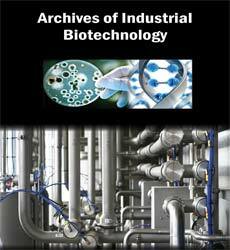 The Journal encourages quality research on biofuels, biogas, biorefining, biomass/feedstocks, bioplastics and biofilms, enzyme discovery and engineering, systems and synthetic biology, biochemical and process engineering, bioenergy and biomaterials, glycoscience and biotherapeutics, pharmaceuticals and fine chemicals. 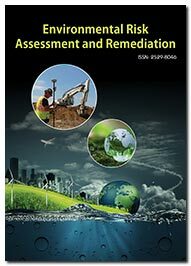 The journal focuses on a wide range of topics in this field, which includes analysis and mapping of natural processes, pollution management, pollution control, Waste management, review and strategy for policy making, formulation of national/international environmental protection policy, comparative legal aspects of pollution, assessment of risks from water, soil and air pollution, etc. The International Journal of Pure and Applied Zoology (IJPAZ) publishes research work from all branches of Zoology such as physiology, cell and molecular biology, genetics, biochemistry, biotechnology, bioinformatics, microbiology, immunology, endocrinology, neurobiology, enzymology, toxicology, environmental biology, developmental biology, and stem cell research. 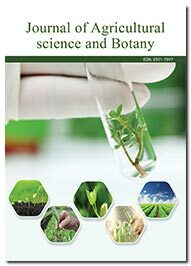 This journal aims to publish the wide range topics including crop science, organic farming, agricultural biotechnology, food science, irrigation and water management, soil science, plant taxonomy, plant breeding, plant genomics, post-harvest technology, pesticides, horticulture, rural biodiversity, current agricultural practices and tools related to agriculture, etc. The journal covers a wide range of topics like applied mechanics, approximation theory, computational simulation, differential equations, dynamics, inverse problems, modeling, numerical analysis, optimization, probabilistic and statistical methods, stochastic processes, mathematical and computational logic, calculus, applied mathematics, computational model, computational and actuarial mathematics, etc. Journal of Biomedical Imaging & Bioengineering has been designed for the wider dissemination of new inventions in the fields of analytical methodologies, bioengineering, tissue engineering, nuclear medicine and imaging techniques to the enthusiastic readers and researchers. 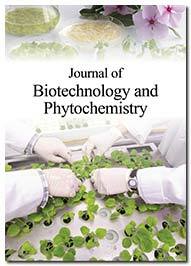 The journal encourages research in all the key areas of biotechnology and phytochemicals, including techniques relevant to the detection, separation, extraction, purification, identification and quantification of plant biochemical compounds, plant cellular and molecular biology, plant biotechnology, plant physiology/biochemistry, etc. 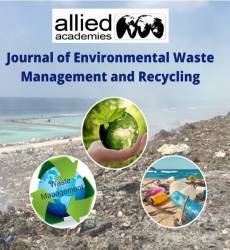 The Journal considers wide range of topics for publication including - environmental science, biodegradation, environmental toxicology, renewable system, ecosystem, waste management, recyclable waste, solid waste management, nuclear waste, waste water, construction and demolition, chemical waste management, used oil disposal, trash removal, paper recycling. 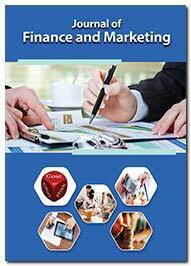 The major topics covered in the Journal are banking services, product positioning, online services, customer profiling, loyalty plans, brand management, financial innovations, Institutional banking and finance, segmenting financial services, customer relationship management, targeting, distribution management, investment finance, financial product innovation, etc. 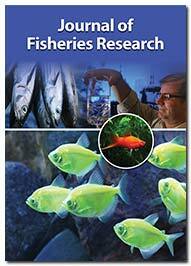 Journal of Fisheries Research is an open access scientific journal that focuses on fishing technology, fisheries science, fishery biology, fish farming, water pollution, fish feed technologies, aquaculture practices, marine food, fish production, fishery economics, fisheries and pollution, fish vaccines, fisheries medicines, and fish genetics and genome. The scope of the journal includes various aspects of plant biotechnology, agricultural biotechnology, microbiology, genetic engineering, plant pathology, plant nutrition, plant physiology, pest management, irrigation technology, plant genetics, disease control, biological biomarkers. The Journal prioritizes the publication of original scientific research in the key areas of protein function, cancer proteomics, data mining, computer science, and information technology, biomedical techniques and novel applications like mass spectrometry, microarray and big data analysis. The Journal scope encompasses the knowledge in veterinary medicine research of the such as veterinary care, animal imports and exports, critical care, veterinary anesthesiology, surgery and radiology, clinical care, diagnostics, genetic monitoring, health surveillance etc. 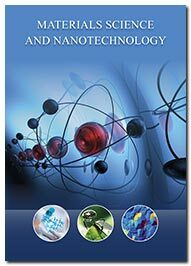 Material Science and Nanotechnology journal places special focus on research pertaining to molecular nanotechnology, molecular engineering, quantum nanoscience, nanomedicine, nanoelectronics, nanomaterials, nanotoxicology, polymer science, biomaterials, semi-conductors, metallurgy, etc.